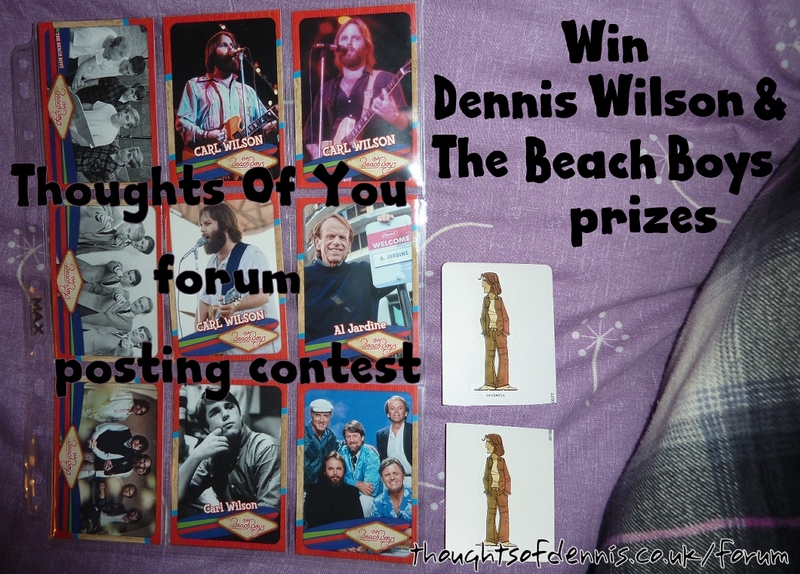 to win some Dennis & The Beach Boys stuff. Thoughts Of You forum posting contest. Win Dennis Wilson & The Beach Boys prizes. Thoughts Of You - a Dennis Wilson fanzine. + 3rd & 4th runners up prizes of two trading cards. except For Sale / Wants to enter. will count as two. Nonsensical / spam or very short posts won't be counted. 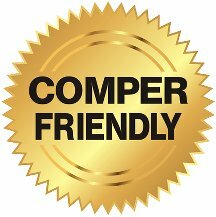 This competition is comper friendly & open worldwide. I'm happy to have it posted on competition/giveaway forums, blogs, groups/pages, sites/directories etc. - just check first to see if it's already listed & please don't spam. or related forums (again as long as it won't be seen as spam). Winners will be chosen at random from all valid entries & will be announced online. & winners being drawn. Delivery will take longer for people outside the UK. 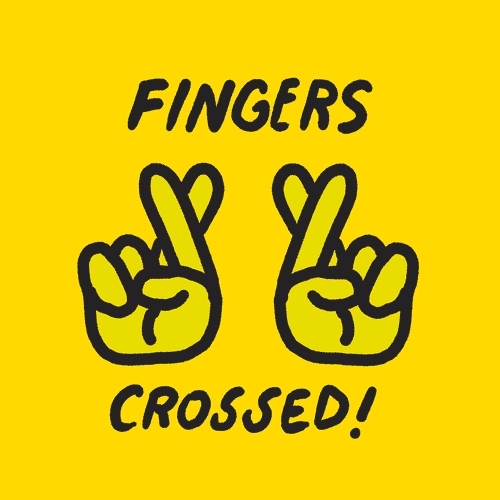 to 11:59pm GMT on the 28th of February 2019.
how you've liked, shared, and have fingers, toes and eyes or everything crossed, or your pet newt having shingles will have no effect on your chances of winning - not even if you add a load of random emojis. Rory Lucey, Redbubble, Panini or The Beach Boys, any individual members or associated record companies. 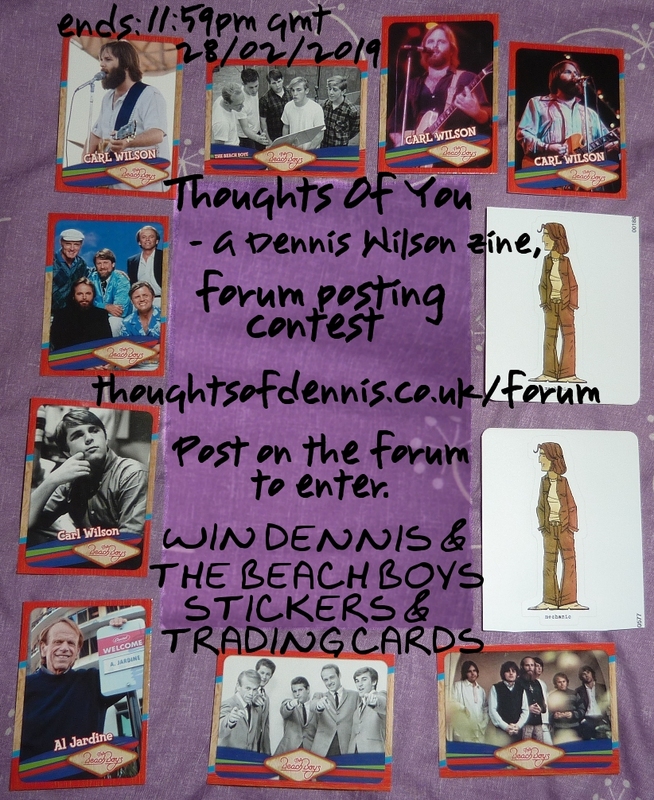 The promoter is Thoughts Of You - a Dennis Wilson Fanzine forum. from Monte Hellman’s 1971 film Two-Lane Blacktop." "Rory Lucey is an artist and illustrator living in Philadelphia, Pennsylvania." variety of products from Redbubble. Redbubble: Rory Lucey works; Two Lane Blacktop Mechanic art on other products. so will not be in mint condition. Post on the forum to enter. 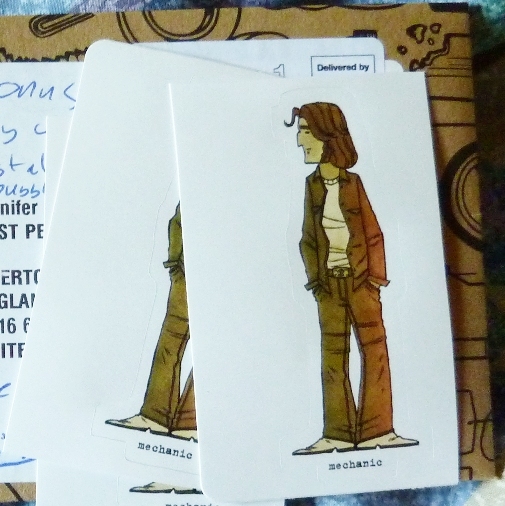 Win Dennis Wilson & The Beach Boys stickers & trading cards. Only one entrant so far so you've got a big chance of winning. Plus we're now Listed On Loquax. Competition is now closed. Winners are being contacted and will be announced. (01-03-2019, 03:20 PM)Thoughts Of You (Jenna) Wrote: I've added up everybody's posts & stuck the names in to a random name picker and these are the winners. 3rd & 4th runners up: Helpful String & Sandsol. Just waiting for everyone to get back to me with their address so I can send out your prizes. Competition winners announcement - Beri you need to contact me. Forum Jump: Private Messages User Control Panel Who's Online Search Forum Home Forum, social media & website -- Forum & social media - feedback, updates & introductions Thoughts Of Dennis -- Thoughts Of You fanzine -- Dennis Wilson Selling/classifieds -- For Sale / Wants -- Sold/Obtained Off Topic -- Other music and musicians -- General discussion.